Per IHSA Eligibility Requirements, this completed form must be on file in the Aquin office for each Aquin athlete in grades 9-12. 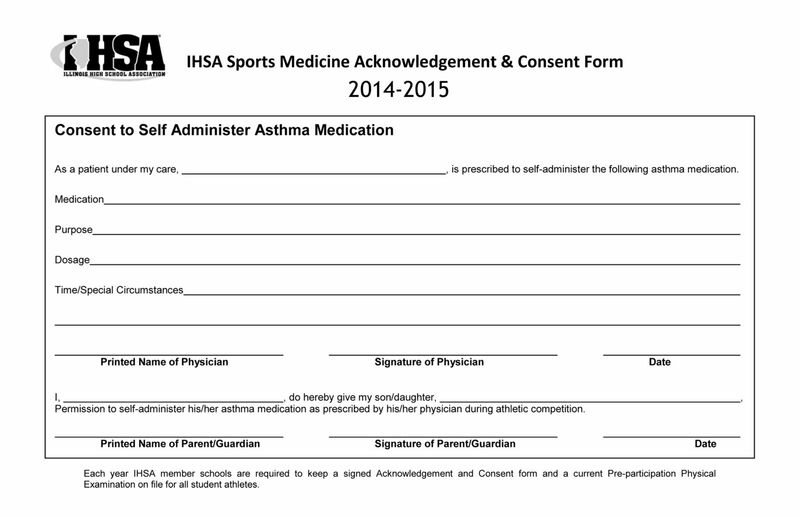 If applicable for your student-athlete, this completed form--with prescribing doctor's signature--must be on file in the Aquin office. Per Diocesan Eligibility Requirements, this completed form must be on file in the Aquin office for each Aquin family with athletes in grades 5-8. ALL athletes must have a physical on file with the Aquin Business Office 1 week prior to his or her 1st practice. Students entering Grades 6 and 9 must submit a complete health physical per state requirements. This physical fulfills the sports physical requirement. A sports physical DOES NOT fulfill the complete health physical requirement. PPEs offered at Monroe Clinic locations are listed on the Aquin web calendar as they are scheduled. PPEs offered at FHN are listed on the Aquin web calendar as they are scheduled. Your PPE site should have an appropriate 'PPE Form' to be completed by the physician. We recommend making a copy of that completed form and then submitting the copy to the Aquin offices. If you want to take a form to your PPE, you may download the IHSA Sports PPE Form by clicking here. Aquin offers supplemental insurance from Guarantee Trust for your child/ren. This insurance does have separate football coverage for high school only. If you are interested, please purchase this coverage online (with Visa or Mastercard) by clicking here and then following the directions by choosing 'Illinois' and 'Freeport Catholic Schools'. during the school year be covered by some medical insurance plan.